Population: 15.7 million people. 9.3 million people live in rural areas like Western Province, where we work. Preventable diseases: 10 children a day die from diarrhoea. Dirty water and inadequate sanitation and hygiene stop families from fulfilling their potential. Since 2003 we have worked with communities in Western Province, one of the poorest parts of Zambia, where many families rely on water from unprotected sources, often sharing these with animals. Open defecation is the norm because there are no toilets, and this causes high levels of waterborne diseases. Our work changes this, so families enjoy better health, are more productive, and most importantly can send their children to school. We are happy that you came to our help. Fetching water from down stream was a serious challenge, as it was difficult to draw enough water for hand washing after use of the toilet. 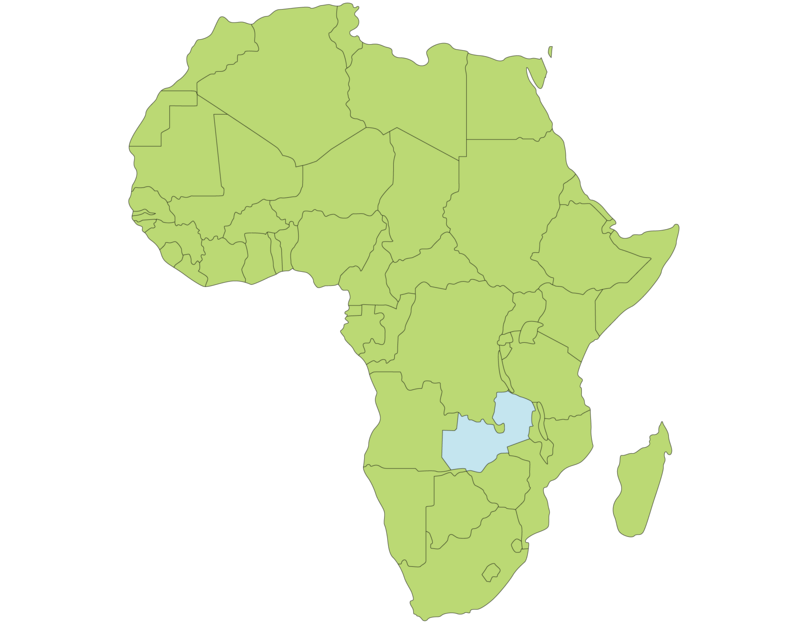 26 million people live in Mozambique, with 17 million living in rural areas like Manica Province, where we work. Over 7,000 children die every year from diarrhoea and other waterborne diseases. We were delighted to break ground in Mozambique in 2016, and have worked closely with our local partners to bring the Village Water Way to 10 rural villages in 2017. Our model is to nurture local enterprise and to build sustainable projects so that the communities we work with can support themselves. The learning from Zambia has helped with the successful launch of our venture into Mozambique and we’re planning to reach a further 22 communities in 2018. I used to go to the Ravue River 3-4 times a day to get water for the household. Using a canoe we float out some way to get the flowing water. We washed our clothes and bathed in that same water, close to the shore. There are crocodiles on the other side and we know the boat can be turned up by them but if it’s not our time to die, we will be alright. I personally had diarrhoea a lot before and I am happy the water is close now. I won’t have to go a long way to bring it back. We hope having clean water will reduce diseases. In 2016 we were delighted to break ground in Mozambique, working closely with our local partners to bring the Village Water Way to rural villages. We have been busy training partners and local government in how we work, and conducting surveys to assess the viability of manual drilling in different areas. Our model is to nurture local enterprise and to build sustainable projects so that the communities we work with can support themselves. The learning from Zambia has helped with the successful launch of our venture into Mozambique and we are excited to carry on with even more water points in 2018.